This Quick Login extension will open as a popup, very convenient for visitors to put data. The popup appears instantly while other sites with the native login can take a while before customers can enter information into the required fields. For old customers, they just click "Login", a nice but friendly popup will appear, they can fill username and password to be accessed their account very quickly. Step 1: Click on Login tab. Step 2: Fill in your account, and then click on Login button. Step 3: If you don’t have an account, click "Create an account" to create your account. Step1: Install this extension as the user guide. Create the new account through pop-up: Customers can create a new account via popup without loading a new page. Merchants can add Newsletter subscription section into the registration form. Display “My account” with the dropdown menu: After logging in, customers can select any session of their accounts that are shown on the drop-down menu. Easy to install. The support is exceptional. I have also bought other extensions from cmsmart for my webshop and i have never been disappointed. The percentage of loyal customers on my site increases rapidly after I use your extension. I highly appreciate it. You have done a good job! 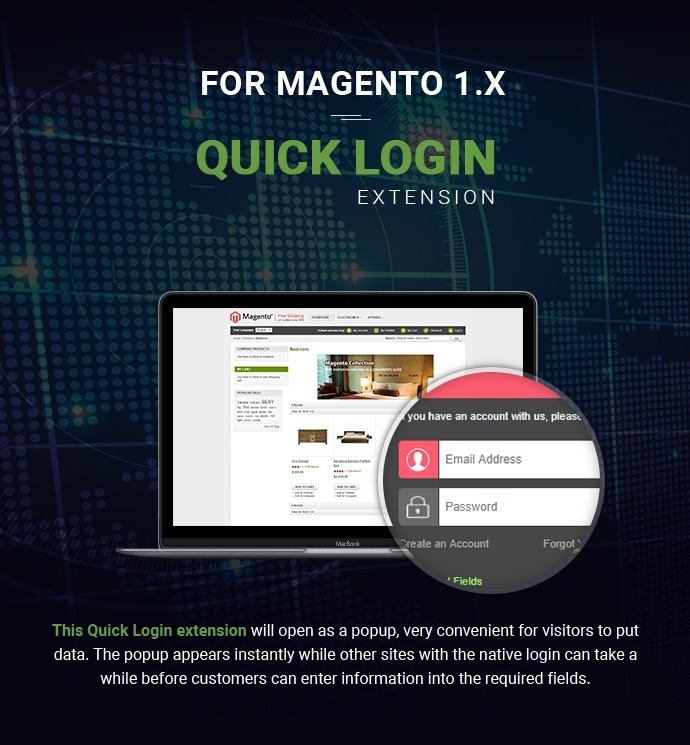 With Quick Login Magento Extension products install is easy and simple, user-friendly. I'm really comfortable when using this product from Cmsmart. Thanks a lot. I purchased this extension and it worked really well. Great value for the price and immediate assistance. Support team has immediately solved every problem. Thanks a lot! 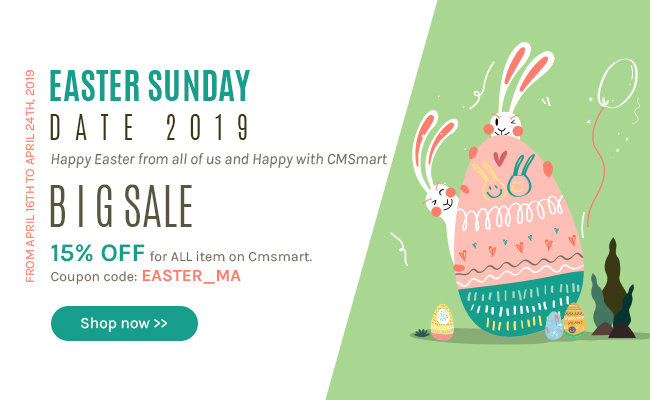 I bought six extensions for my webshop from Cmsmart. They are great extensions, together they make my webshop very professional. There were some issues, but support is really great, which is very important because non-technical buyers like me won't be able to solve these problems. Thanks support team. Please help me follow ticket to get a professional support.